Children must have their names on their cardigans/ jumpers, coats and other personal belongings. 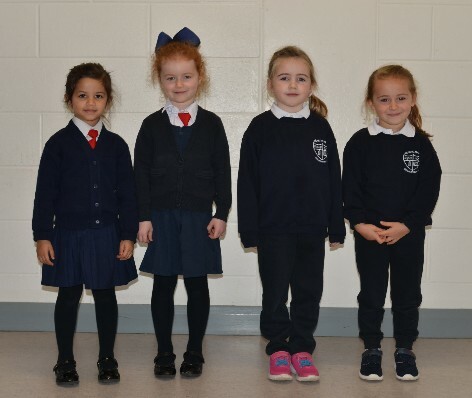 In Junior Infants we find it very important to label school uniforms and coats. A little key ring or something that your child will recognise as hers is very useful for her to get her own coat from her hanger where there may be 25 or more school jackets. The highest standard of personal appearance is expected at all times. No nail polish in school. Hair should be neat and tidy. Long hair must be tied back at all times. All parents/ guardians should check children's hair every weekend to prevent any headlice infestation, it is only when all children are checked and treated that the infestation will be eradicated.